I placed the order yesterday and still haven't received the link? My shopping cart requires me to "complete" orders, even if the dollar amount is zero. I gotta figure out how to make that happen automatically. In the meantime, I have hundreds of orders I need to process - at $0.00! Sorry Karl, I didn't know. Just thought it might be a glitch. Thanks a bunch for all that you do. We all appreciate it so much. lol. I didn't know either, Daniel. But I sure found out! 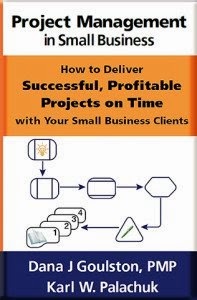 Actually: Once you check out, you can log into the SMB Books site and download your checklist immediately. unfortunately it won't let me complete checkout. it wants a selection for "Pay by Paypal or Credit Card?" but there is nothing to select. something changed, because later i was able to complete checkout! Anon - not sure exactly what you mean. You don't need any payment method. I'm getting dozens of successful checkouts from people every day, so I'm not sure what you're seeing. If you wish, send screen shots to sales at smallbizthoughts.com. 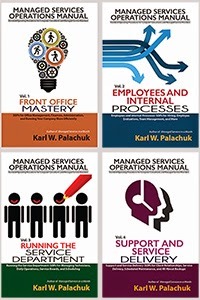 Karl - your 68 point checklist was a staple of my MSP back in the day, so great to see its updated and available for free. Very valuable - thanks for sharing! Thank you Richard! I appreciate that.